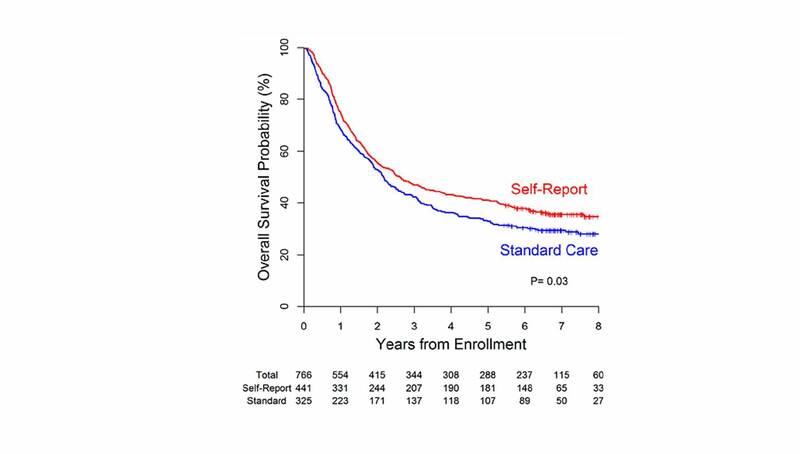 A paper published in JAMA and presented at the 2017 ASCO conference has shown that patients who self-track their health and use this data with their healthcare professionals have better outcomes and longer survival than the usual standard of care. This important evidence shows that technologies, such as the uMotif platform, can have significant impacts on healthcare. The research team, led by Ethan Basch from the University of North Carolina is likely to be a turning point in use of patient-facing digital technology in cancer care. The study of 766 patients at the Memorial Sloan Kettering Cancer Centre showed that patients who self-tracked their care between 2007-2011 had average survival of 5 months longer than the non-tracking group. Other important findings were that patient in the self-tracking group saw improvements in their Quality of Life measured through the EQ-5D and had fewer visits to the Emergency Department. Since this paper was presented at the ASCO conference in March 2017 we've seen an exciting increase interest from oncology clinicians and researchers across the world, who are now looking to implement their own solutions to deliver similar clinical improvements. Through our work with Merck, QuintilesIMS and the Christie Hospital (see article here), the uMotif platform can be rapidly deployed in clinics for patient data capture in any pathway.